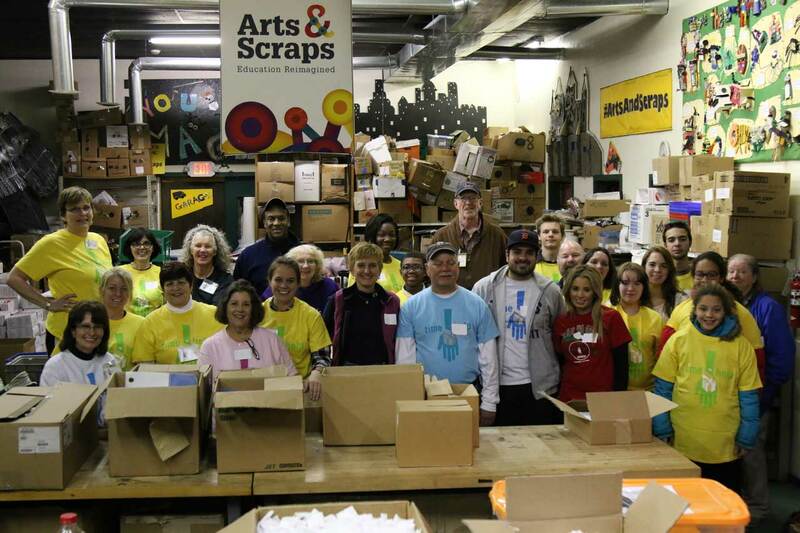 Nov. 21, 2015 – DETROIT – Working side by side along a trio of tables, nearly 30 volunteers representing A Time to Help assembled and packed kits filled with recycled materials at Arts & Scraps.The wintry conditions outside the warehouse did nothing to lessen the good cheer inside as volunteers – many of whom have participated in more than two dozen A Time to Help events over the years – welcomed 11 first-time volunteers with open arms. 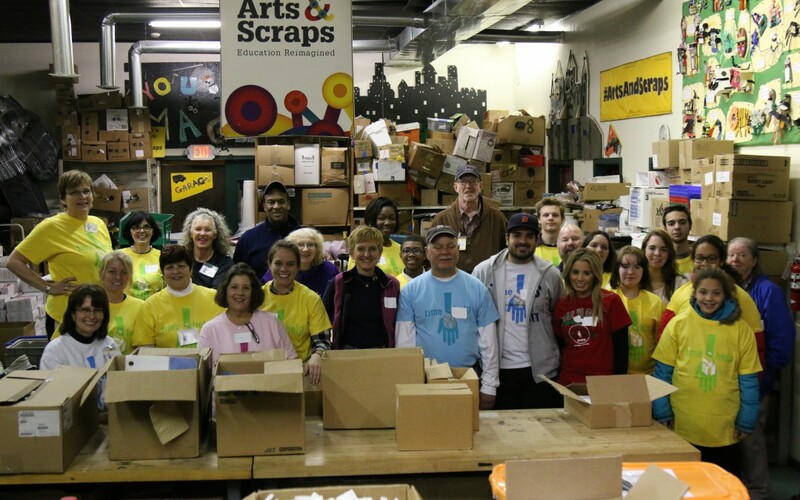 “What a great group,” said Mike Salyers, warehouse assistant at Arts & Scraps. 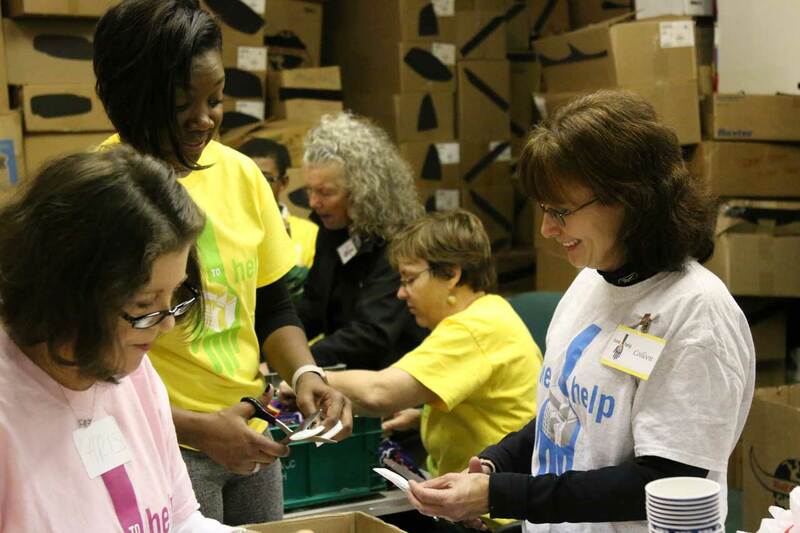 “Today we’re packing 200 ‘My Room’ kits, including 200 more for us to sell online. 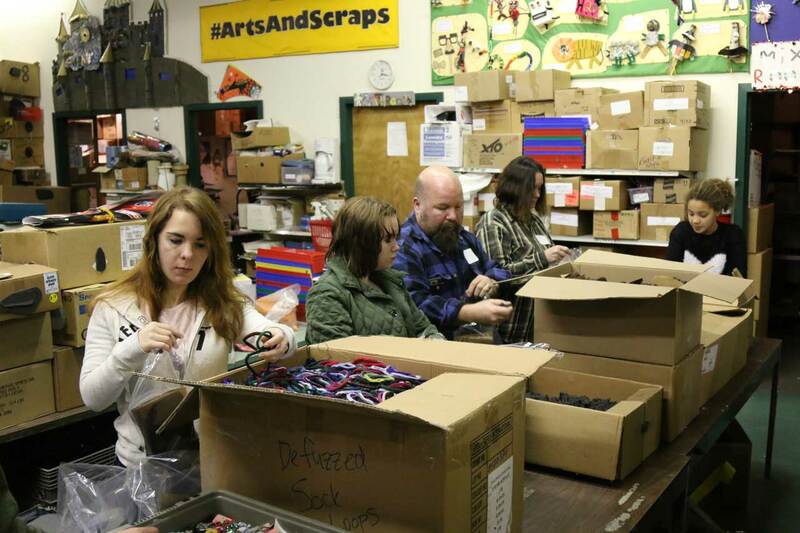 We’re also assembling 500 ‘Friends of the Earth’ kits. 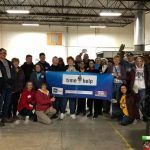 The next A Time to Help event is our largest of the year: S.A.Y. Detroit’s annual Holiday Celebration benefitting homeless women and children at the Salvation Army on Dec. 12 at the Ellen A. Thompson Center at 3737 Humboldt in Detroit. 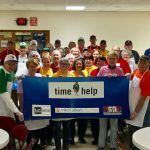 Volunteer sign-up begins this week. 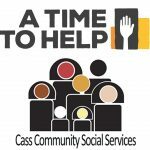 Visit atimetohelp.org for more information.